BMX remain a great way to show everyone how to ride extreme and jump on obstacles performing different tricks. 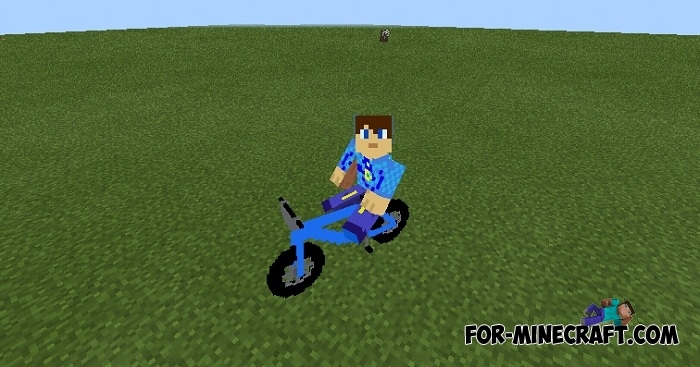 This addon implements more than 10 bikes designed not only for normal bike tours but also for bmx jumping like in GTA SA. Sit on the bike and try to make a few jumps, the control is the same as if you ride a horse. How to ride a Bmx? 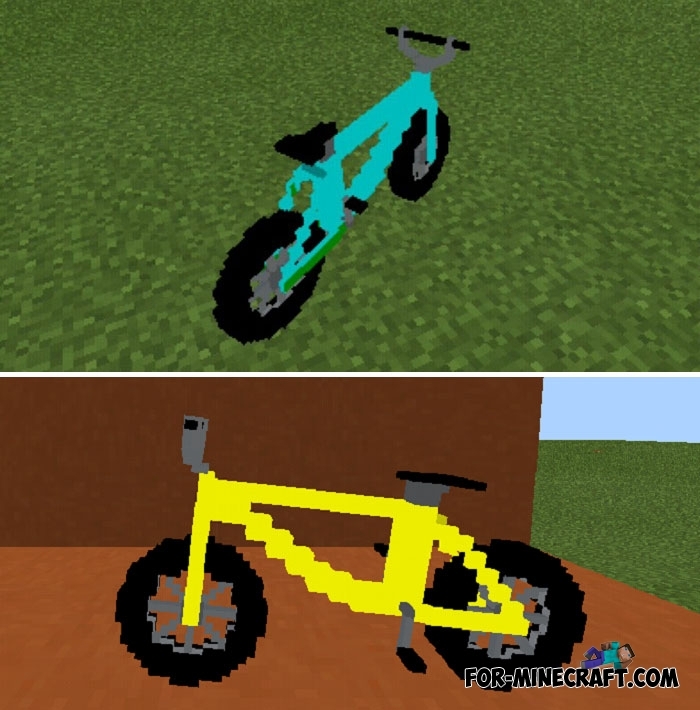 First, choose one of the bikes (any color you like) and also do not forget to install the behavior file (Bike BP.mcpack). Spawn or find it in the swamps then come closer and sit behind the wheel. Use the control and jump buttons to quickly ride and also jumping on the protruding blocks. How to install BMX addon?